Today we are reviewing the signing habits of the cast of the hit series “The Office”. Ricky Gervais – The creator of The Office is a friendly, funny man and an amazing signer. I have obtained his signature numerous times and he has never turned me down. Steve Carell (Michael Scott) – is a very nice person and almost always willing to sign an autograph for a fan. I have met him twice and he was very gracious both times. Rainn Wilson (Dwight Schrute) – is an super person and an amazing signer. I have seen him spend what seemed to be an hour signing for adoring fans. A great guy! John Krasinski (Jim Halper) – is a nice person but really doesn’t seem to like signing an autograph. He will sign but seems put off by the process. Jenna Fischer (Pam Beasley) – is a very sweet woman and a fantastic signer. She will graciously sign anything and as many items as you wish. B J Novak (Ryan Howard) – is a nice person but similar to John Krasinski, doesn’t seem to enjoy the process of signing an autograph very much. Leslie David Baker (Stanley Hudson) – is very different than his character. He is a super nice guy who is happy to provide a fan with an autograph. Brian Baumgartner (Kevin Malone) – is like his character in the sense that he is a very nice, approachable person. He is a fantastic signer. Kate Flannery (Meredith Palmer) – like Jenna Fischer, is a very pleasant woman who is a very willing signer. Angela Kinsey (Angela Martin) – like her character, isn’t very friendly. She will sign but it’s a lot of work. Oscar Nunez (Oscar Martinez) – is a very nice man and a willing signer. He never turns down a fan. Phyllis Smith (Phyllis Vance) – is just a sweetheart of a woman. She loves her fans and loves to sign autographs. Mindy Kaling (Kelly Kapoor) – She doesn’t seem to enjoy signing an autograph. I have seen her turn down more autograph requests than she grants. Paul Lieberstein (Toby Flenderson) – is similar to Mindy Kaling in the fact that he will give an autograph but doesn’t seem to like doing it. Creed Bratton (Creed Bratton) – is probably the most interesting person in the cast. He has the same name as his character and is a guitarist in the 60’s & 70’s hit group “The Grassroots”. He is a nice guy and a willing signer. Ed Helms (Andy Bernard) – isn’t really a great guy and generally turns down autograph requests. Craig Robinson (Daryl Philbin) – is a very nice person who will sign when asked. He is quite funny too. Ellie Kemper (Erin Hannon) – is a hot and cold signer. She isn’t the same friendly person as her character in the show. Zach Woods (Gabe Lewis) – very nice person and a gracious signer. I hope you all enjoyed this blog. Please check out my autograph web store at www.autographedfirstdaycovers.com. This entry was posted in Uncategorized and tagged andy bernard, Angela Kinsey. 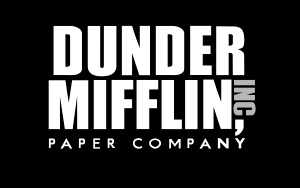 Angela Martin, bj novak, Brian Baumgartner, Craig Robinson.Daryl Philbin, Creed Bratton, dunder mifflin, dwight schrute, ed helms, Ellie Kemper, gabe woods, Jenna Fischer, Jim Halper, John Krasinski, Kate Flannery, Kelly Kapoor. ricky Gervais, Leslie David Baker, Meredith Palmer, michael scott, Mindy Kaling, oscar martinez, oscar nunoz, Pam Beasley, Paul Lieberstein. Toby Flenderson, phyllis smith, phyllis vance, Rain Wilson, ryan howard, Steve Carell, the grassroots, the office, will farrell. Bookmark the permalink.